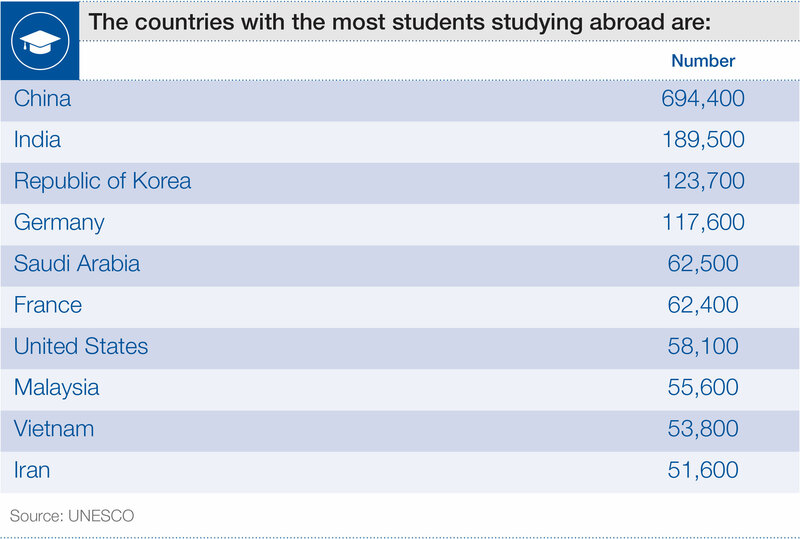 On the flipside, China, India and Korea send the most students abroad to study. And a handful of smaller nations have more nationals studying abroad than at home — Andorra, Anguilla, Bermuda, Liechtenstein, Luxembourg, Montserrat, Seychelles and the Turks and Caicos Islands. To keep up with the Agenda subscribe to our weekly newsletter.